＜ゲスト＞ 田中知之 (FPM), DJ KAORI, paris match, i-dep, 美保純と岡本夏生と愉快な仲間たち from 5時に夢中！, May J.new! 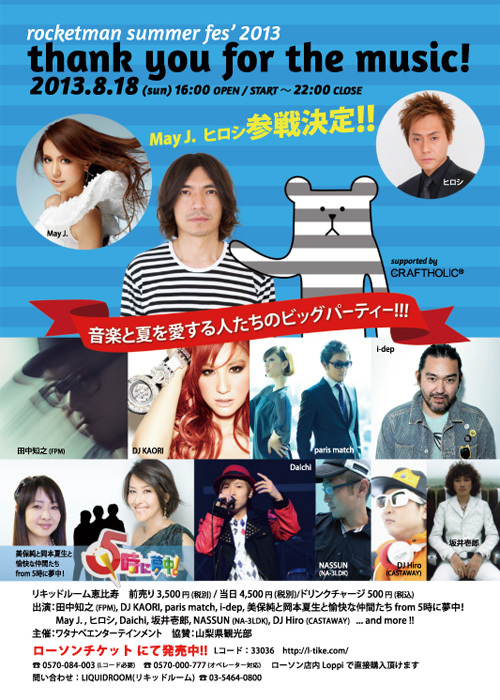 , ヒロシnew!, Daichi, 坂井壱郎, NASSUN (NA-3LDK), DJ Hiro (CASTAWAY) … and more ! !